A SUPERB slice of West End theatre has opened at His Majesty’s Theatre and the lengthy title is definitely worth remembering. 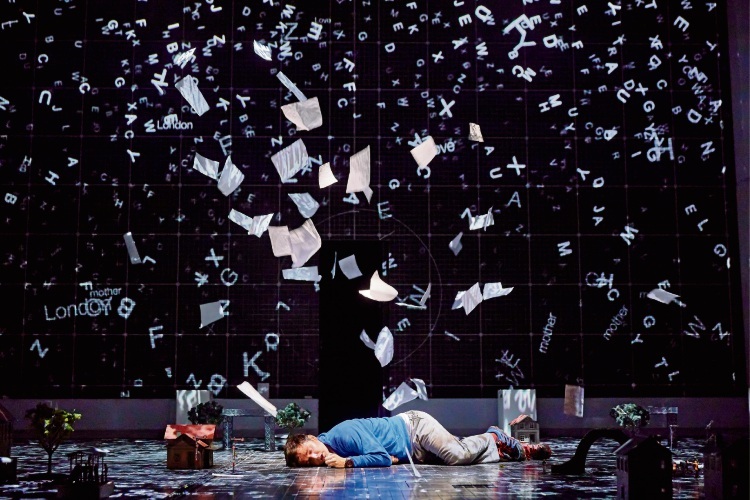 The Curious Incident of the Dog in the Night-Time is adapted from British author Mark Haddon’s best-selling 2003 mystery novel, which was brought to the London stage by Simon Stephen at the National Theatre in 2012. The production’s seven Olivier Awards and subsequent five Tony Awards after transferring to Broadway were clearly no fluke, after experiencing this all-British and Irish company in Perth during its international tour that began in Australia in June. The play centres on 15-year-old Christopher Boone (played by Kaffe Keating at this performance) who has an unspecified autism spectrum disorder that makes him an outsider in the world around him. When he discovers his neighbour Mrs Shears’ dog Wellington has been murdered with a garden fork, he starts on a detective mission to uncover the guilty person. Despite the at times heavy subject matter, the production is filled with humorous moments and is peppered with English quirks and references. Christopher is an endearing character who has trouble in social situations most take for granted, but in his comfort zone he is a wiz discussing mathematics, space, trains and his pet rat Toby. Keating’s performance is sweet and his mannerisms believable, as is the parental struggle with his limitations. The book is written in the first person by Christopher and this carries over beautifully with narration by his caring teacher Siobhan, the delightful Julie Hale. The rest of the ensemble moves through the production like a well-oiled machine (you would not expect anything less from a company of this calibre) on a high-tech set featuring an illuminated grid encasing three sides of the stage and the floor, which becomes an intrinsic component of moving the narrative along. The Curious Incident of the Dog in the Night-Time will leave you feeling uplifted and privileged to have seen it. The season is on until August 19.